To our UK readers, enjoy your Bank holiday today and to our readers in Nigeria, we empathise with you in relation to the fuel scarcity that is affecting the country. I pray the Lord Jesus will influence the leaders to make good changes. Today's Write-up is a Guest Post from one of my ardent readers. He previously wrote a post about what a man wants in a woman. Click here for the post. His write-up today is to remind us all how exceptional we are as Christians. Please take 3 minutes to read the post below and remember to share it with others as sharing is caring. What makes you exceptional? Do you know what the Bible means when it says you are the light of the world? What Do You Understand by the Light? In the book of Genesis 1:1-5, God said let there be light and there was light. When you read this verse, it is easy to think in the terms of light (day & night). For those of us that live in Nigeria, we can also translate it into when PHCN takes and brings light in order to understand the verse (I know what you’re thinking). However, when you pay closer attention to the Bible and how it references the light you will notice that it goes deeper than that surface understanding. I must admit prior to when I was taught, I never thought of it this way. At the beginning of every new generation, the verse Genesis 1:3 comes alive again. Isn’t that exciting? Isn’t that amazing? Each generation is lit differently from the previous generation. That is why the Joshua generation was different from the Moses generation and are still relevant in today’s society. They were lit in such a way that their light has shone through generations (Matt. 5:16). That is why younger generations adapt faster to changes in society, technology etc. This is because we are lit differently from the older generation and are born with a different mentality. If all generations were born into this world with the same mentality, would the world have advanced the way it has? The light as referenced refers to Benchmark, Knowledge, Vision, Quality, Standard, Yardstick, Point of Reference and Target. So if this light refers to a standard, yardstick, knowledge etc., who is the light by which we are to judge ourselves as children of God? Jesus Christ. Who is the Light (John 1:1-14)? The light is Jesus Christ (He is the Light that lights up every man). That is why God sent Him to this world. To show us the standard we are expected to set as God’s children. Without Jesus Christ, how would you know the standard you are expected to live by? Let’s have a look at John. 1:4: “In Him was life, and the life was the light of men”. The light means the life or character of Jesus Christ. The standard by which men are to live their lives. This means that when we talk about the light, we are talking about the life of Christ and how He lived while He was on earth. The standards He set through His responses to various situations. For example, as Christians, we tend to suffer from identity crisis (knowing who we are in God) and that is why we fall into temptation. Consider when the devil tempted Jesus in Matthew 4 or when He spoke to the storm in Mark 4:35-41. These stories show us that as children of God, the standard at which we are meant to be operating by, we can rebuke the devil and we can calm the storms (literally!). Now, relating back to Genesis 1, when God said let there be light, He was in effect saying that Jesus Christ was the antidote (the injection (I know I know…..people don’t like injections) to cure the sickness) to the decadence (sin) in the world. As such, John 14:6, 9:5 and 8:12 bear testament to God’s intention from the beginning (in Gen. 1). 8:12 “…I am the light of the world, He who follows me shall not walk in darkness, but have the light of life”. 14:6 “…I am the way, the truth and the life. No one comes to the father except through me”. All along, Jesus kept telling people that He is the standard to live by; His character is what we as children of God should be targeting. As such, if we are to make heaven we have to go through Jesus. We have to live our lives at the standard Jesus did benchmarking ourselves according to what He did and how He walked while He was on earth. So whenever you find yourself in a situation, ask yourself this question: What Would Jesus Do? When you think about the human mind, it can either be knowledgeable or ignorant. The bible in Hosea 4:6 says “my people perish for a lack of knowledge…” For the physics inclined people, light is a knowledge spectrum through which we are to view the world and without this light, we will perish. That is why John 1:4 says ‘the darkness cannot comprehend it’ (ignorance can never survive where there is knowledge). So another way of reading Hos. 4:6 is to say “my people perish for a lack of the light, the light being Jesus Christ, the bringer of knowledge. Earlier on I mentioned the Joshua generation. Heard of the Joshua generation? They were the coolest generation ever. Now who is the Joshua generation that they are still relevant over 2000 years after? Num. 14:6-8. The Joshua generation is the generation that knows who they are, who they are in Christ and as a result of that knowledge, can go out and take possession of the land (Deut. 1:8). I remember when I just joined my current place of work, my colleagues and I went out as a form of bonding session. When the time came to order drinks, I and some colleagues asked for a soft/energy drink, instantly someone refused and insisted we all had to drink alcohol. Even went the length of pressuring us to which I resisted; the reaction I got was: in this business, if you don’t drink alcohol you won’t go far. Don’t worry I still didn’t drink the alcohol. Thank God. Has there been a time you took a stand as a Christian? What was the reaction you got? When faced with a similar circumstance, what will you do? The reward for been a part of this generation is in v24. In rounding up (I just had to put it; a good preacher rounds up before finally rounding up lol), we are called to be a Joshua generation, a chosen generation (1Pet. 2:9). Matt. 5:14-16 gives us the charge by which we are to live by as members of the Joshua generation, the generation which has seen the light and received it. Matt. 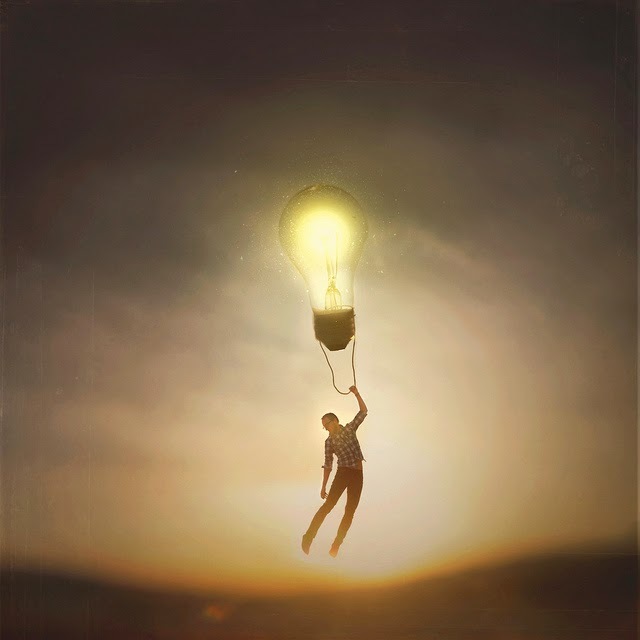 5:14…”You are the light of the world. 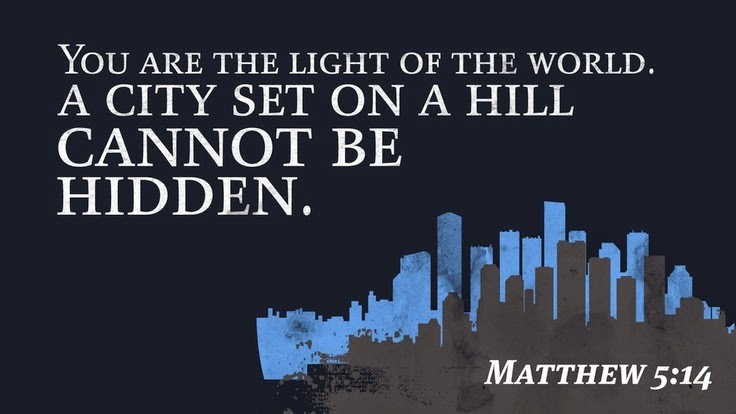 A city that is set on a hill cannot be hidden. 15. Nor do they light a lamp and put it under a basket, but on a lamp stand, and it gives light to all who are in the house. 16. Let your light so shine before men, that they may see your good works and glorify your father in heaven”. So in rounding up (see what I did here), the charge is simple, as children of God, do not hide yourselves so people do not make fun of you. Instead stand out and let people know who you are and what you stand for; that way you can be the standard by which others will want to live their lives and in doing so, win souls for God. Do you now know why you are exceptional? 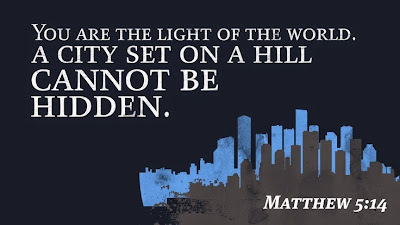 Do you now know what it means to be the light of the world? About the author: Sage is a graduate of Human Resource Management and a 24/7 salesman. A clay in the hands of the Potter, he is on a journey to knowing God and becoming the man God has called him to be. He has a passion for football and society at large. In his quest for knowledge, he has recently restarted his passion for reading books. He lives in Lagos, Nigeria. I'm glad you were blessed. Thank you for stopping by. Interesting article with good scriptural references. One thing is when we ask what would Jesus do? We really cannot properly gauge how he would react. Scripture says for His ways are not our ways and his thoughts not our thoughts. Although we can draw on the wisdom of the Holy Spirit but we still know in parts as gazing through a mirror. So ask the Holy Spirit instead of thinking and responding using your world view. Thank you Joshua. I believe young believers are becoming lazy and self-dependence on themselves, they would rather have a dialogue with Google or their friends rather than communicate with God. Since we are exceptional and different because Christ dwells within us, we need to consciously speak to Him or read His Word. We need to remember that we have free access to Him at all times. I suppose the saying What Jesus Would do means what does the Word of God says about it. The Word of God links to every single thing in this world. Are You Sure You Are In The Light? Let's Chat | What is Christian Worship?